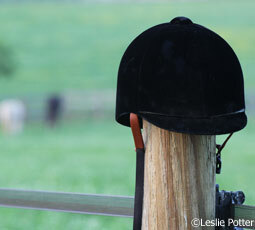 On Feb. 2, 2013, equestrians are invited to attend the fourth Helmet Safety Symposium, part of the Riders4Helmets campaign. The symposium will bring riders, helmet manufacturers, safety experts and others to discuss issues surrounding helmet use for all disciplines. Speakers for the day include champion barrel racer Megan Sparks, Olympic dressage rider Courtney King-Dye (via video), Olympic eventer Darren Chiacchia, Cowboy Mounted Shooting champion Tammy Sronce, Reiner Lyndsey Jordan, Supreme Extreme Mustang Makeover Reserve Champion Mary Miller Jordan, and many more. Topics include research on traumatic brain injury and concussion, helmets in western sports, helmets and breed organizations, educating youth, clarification of current helmet rules across the disciplines, and helmets on the trail. 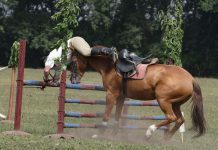 More topics and speaker information can be found at www.riders4helmets.com. The symposium will be held in conjunction with the Kentucky Round-up, a day-long festival of clinics, demonstrations, shopping and education. 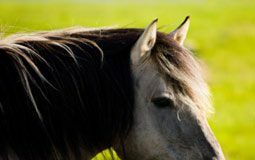 Different tracks are available for novice horse owners, experienced horsemen and –women, and parents of horse-loving kids. Admission to the Kentucky Round-up is $10 in advance, but children under 12, Kentucky Horse Council members, and members of youth or community groups can receive free admission. Find out more at kentuckyroundup.com. 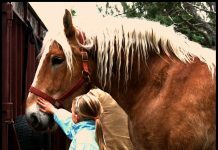 Riders4Helmets was launched in 2010 after Courtney King-Dye suffered a traumatic brain injury when the horse she was schooling slipped and fell. Like many dressage riders at the time, King-Dye did not always wear a helmet when schooling, but during her ongoing recovery she has become one of the most high-profile supporters of helmet use for all disciplines.